Vera Mazzara is a Policy Officer in the Security and Resilience team and in the European External Affairs team. Vera previously worked as Civil – Military Relations Officer in the European Commission’s Directorate-General for Humanitarian Affairs (DG-ECHO). Her prior experience is also with DG Europeaid, London School of Economic and Political Science (LSE) working on EU funded research projects, the Italian Institute for Development and Cooperation, the Geopolitical Observatory on Contemporary Elites in Rome, and the Italian Mission to the United Nations in New York. 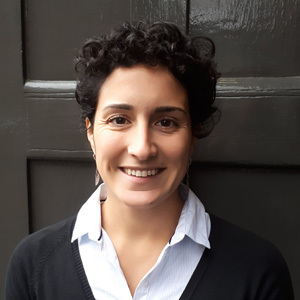 She holds a MSc in Development Economics from LSE, a Degree of Master in Economic Sciences for Cooperation and Development from the University of Rome “La Sapienza” as well as an undergraduate degree in social sciences from the same institution. She speaks Italian, English, French and Spanish and has been studying Arabic for the last three years.